Whether it’s somebody’s birthday, the holiday season, or just because – the Floris van Bommel gift card is the perfect present for any occasion. Find all information about our gift cards below. Floris van Bommel is not liable for theft, loss, forgery or misuse of the Floris van Bommel gift card. You can redeem your online gift card in our online shop via www.florisvanbommel.com. Simply enter your unique gift card code on the shopping cart webpage during the order process. Enter the (case-sensitive) code into the field “coupon code”. This way, you can also check the (remaining) amount on your gift card. For technical reasons it is not yet possible to place an order in the amount of 0,00 Euros. Should your amount result in 0,00 Euros, you will be asked to accept an invoice amount of 0,01 Euros during the ordering process to complete your order. 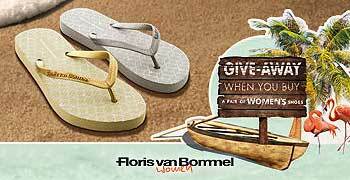 If you do not spend the entire amount of your gift card, please get in touch with us via webshop@florisvanbommel.com. You will receive a new gift card with a new, unique code with the remaining balance. Naturally, this remaining amount is also valid indefinitely. 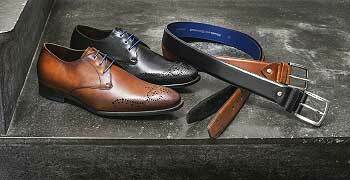 You can redeem your gift card in our Floris van Bommel brand stores situated in Düsseldorf, Hamburg, Cologne, Nuremberg, Utrecht, Amsterdam, Lelystad, Bruges and Antwerp. Unfortunately, it is not possible to redeem multiple gift cards for one purchase. Please do not hesitate to get in touch with us, should you have any questions regarding this matter.